The ability to seamlessly move money has always been at the core of our economy. It enables the exchange of value, makes it possible to build new businesses, and fuels long-term growth. It’s been with us, in one form or another, since the very beginning of civilization. In 9000 BC, people traded grain, cattle, and jewels. A generation ago, people relied on cash, cheques and paper invoices. Today, we have credit cards and mobile wallets such as Apple Pay. The technology underpinning money movement has changed, but the fundamental needs of business owners have remained consistent. There are four key things that all business owners want to know: How much money do I have? Who do I owe? Who owes me? Am I making a profit? At Xero, we’re always working to help our customers answer these four questions quickly and easily, so they can make informed decisions about what is right for the business. One of the most important ways we do that is by continuing to strengthen our open platform and partnering with leading companies enabling our customers to access all of their data in one place. One of our most important global partners is Stripe, an innovative technology company that provides online payments processing for internet businesses. Stripe’s mission is to grow the GDP of the internet and to help technology companies of every size build better and bigger businesses. 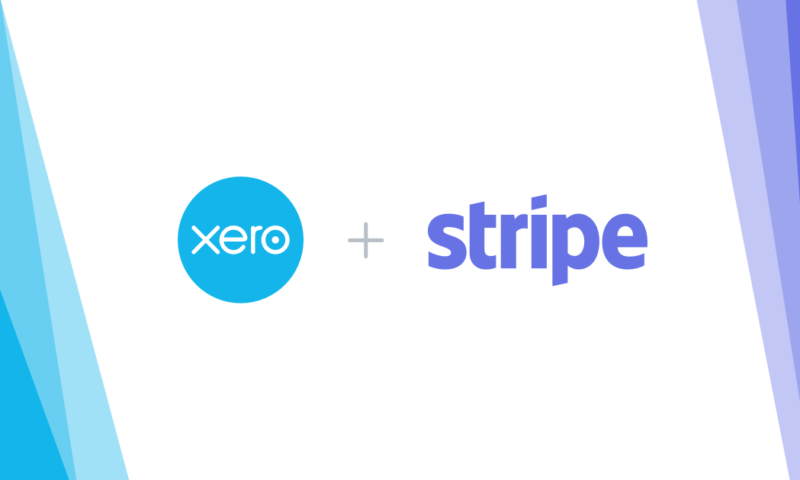 The Stripe integration with Xero makes it easy for businesses to get paid faster because their customers can pay your invoices using their preferred credit or debit card. Find out how to add Stripe to your invoices here. Last week, Xero’s Mary Buckley, Head of Financial Partnerships for the Americas, joined Jeanne DeWitt, Head of Sales at Stripe, to talk about the future of global payments on a panel at Stripe Sessions in San Francisco. The Xero integration with Stripe provides small businesses with a way to send out invoices to their customers digitally, and offer the ability to pay via credit or debit card, or ACH credit. In doing so, a payer has more choice in how they make the payment and on average, merchants receive payments 10 days faster globally when a business uses Stripe. Xero automates reconciling any Stripe fees, saving time and money. Stripe and Xero are committed to working together over the long-term to continuously improve the experience of their shared customers. As Stripe continues to invest in new product capabilities, Xero continues to explore new opportunities to deepen and expand the integration for the benefit of small businesses and their advisors. Digital payments are rapidly becoming the expected norm for all businesses. A recent Federal Reserve Study showed that while the use of commercial checks is declining by 3 percent annually, the use of card payments is growing by more than 7 percent each year. Even more importantly, the use of remote payments, such as those done over the internet, is increasing by nearly 16 percent, outpacing in-person payment growth of 8 percent. Another report shows that mobile payments have surged from 20 million users in 2015 to 144 million in 2017. 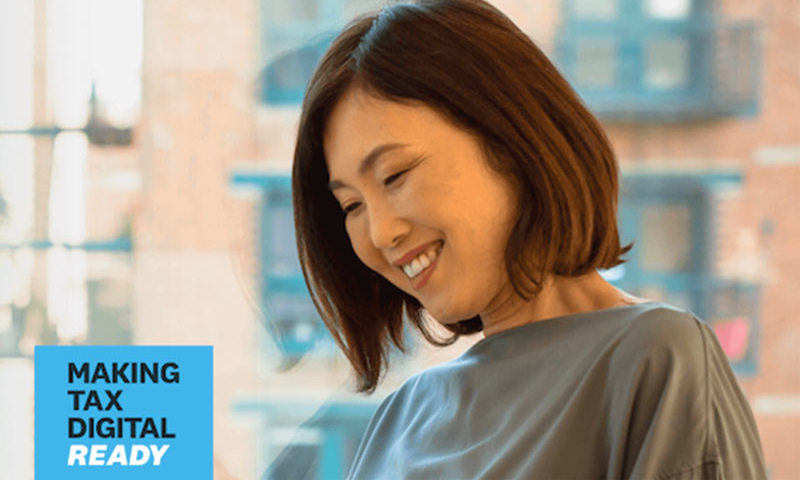 By developing deeper customer and merchant experiences independently and in partnership, Xero is able to deliver an improved way of running a business, helping business owners to find deeper insights and more time to focus on the growth of their business. Find out more about Stripe and Xero. The post Exploring The Future of Global Payments appeared first on Xero Blog. When you’re managing a business you want to be able to make sense of the figures. While it’s important to know where those dollars and cents are going, sometimes you need to step back and get a big-picture view of your earning and spending. New percentage columns give you this perspective. If you haven’t already noticed, the new Income Statement now has an option to add percentages. This lets you easily see account movements as a percentage of the top line revenue in each period. This simplified view gives you a lot of great benefits: it helps you and your advisor find errors in the accounts, spot trends over time, helps you and your advisor find errors in the accounts, and lets you compare your performance directly with other businesses and industry benchmarks. 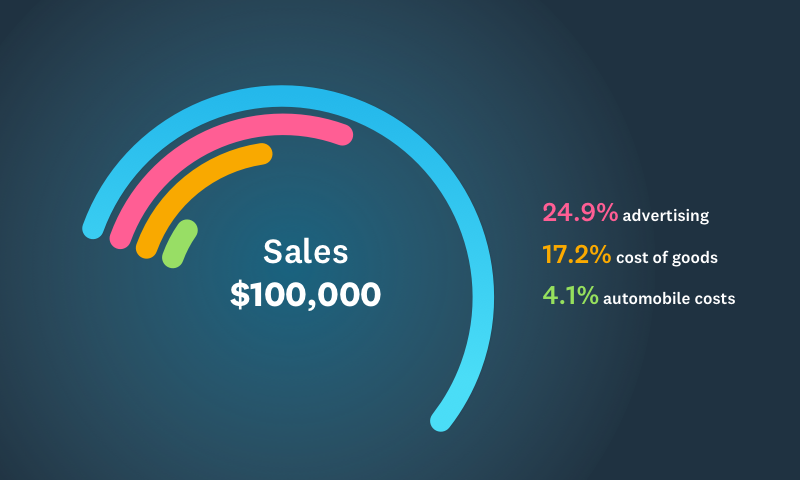 With the new percentage columns, you’re not limited to percentage of sales. You’ve got the flexibility to compare against any line item in the report. Just use the powerful Edit Layout mode and pick a different baseline figure. We’re hard at work improving the usefulness of Xero reporting so you can use it to add more value to your business or your clients’ businesses. Dive in and get started today. The post Percentage columns for the income statement are here! appeared first on Xero Blog. Check out the latest updates for small businesses and partners, plus a peek at what’s coming soon. 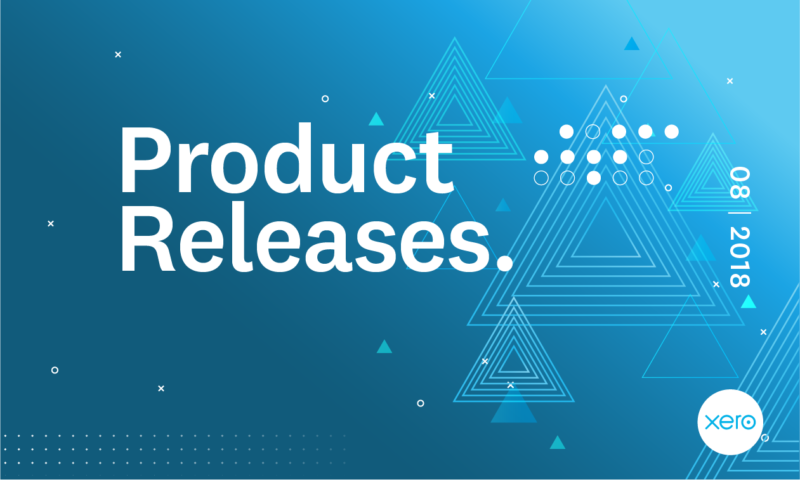 Xero changes and release updates can be found in Xero Central. Advisors can now find and fix up their client’s mistakes even faster through new search enhancements to Find & recode in Xero. You can now search for transactions by bank account, invoice number or the reference. Where you may have spent hours previously, it now takes only seconds to get things right. We know how important it is to keep your business and employee information protected online so, in line with the new ATO requirements, we’re making 2SA compulsory for all Xero Payroll admins and subscribers in Australia. Two-Step Authentication (2SA) creates an extra layer of security by requiring you to enter a code that’s been generated by the authentication app on your smartphone when you log in. This simple but important step became compulsory for AU Payroll admins and subscribers from 11 September 2018. Learn more. Xero businesses can now set up an Alternative Email address that can be used to sign into your Xero account when you already have Two-Step Authentication (2SA) enabled but don’t have access to your authenticator app. Learn more. Partners can split each of their clients assets between private and business use so they can assign tax to only the business portion with with private use depreciation for fixed Assets. Currently, Xero partners (BAS agents and tax agents) can use Xero Tax to lodge activity statements or manually re-enter information from Xero into a form, either through the ATO portal, using alternative software, or filling in a paper form. This is time-consuming, as it requires double handling of data and the need for multiple systems. Lodging activity statements with Xero will make the process easier by eliminating the need to rekey data or submit paper forms; it will minimise errors and saves time. Learn more on the blog. 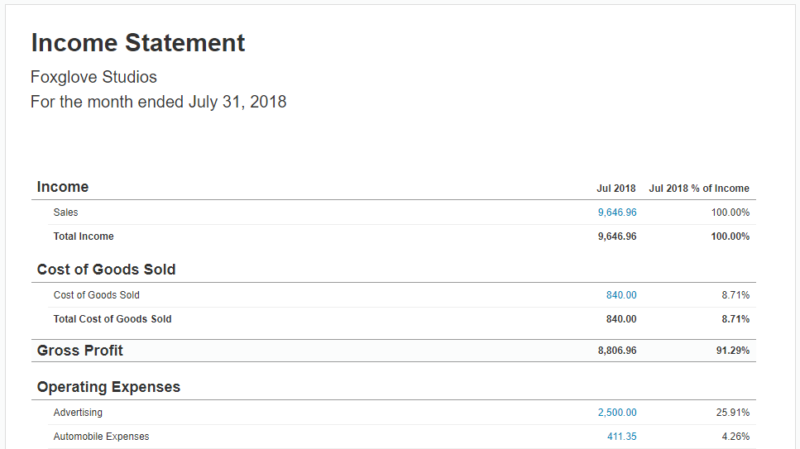 Great news, just like a bank statement, now you’re able to view a running balance on the account transactions report so you can keep tabs on the movements of your accounts and easily view the impact of your totals without any further manipulation. 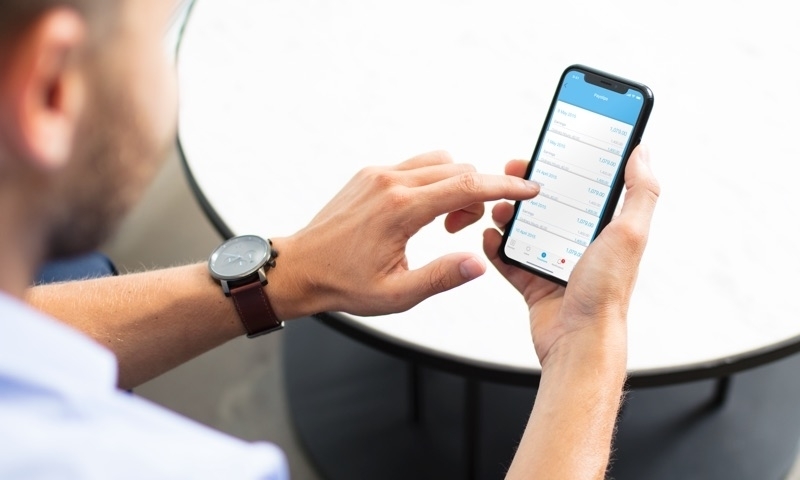 Users of Xero Projects on mobile can now create invoices directly from their mobile device. This means whether you’re in the office, or out on site you can now create and send an invoice to customer in real time. With more efficient project tracking and better invoicing you can drive dependable cash flow in your business. 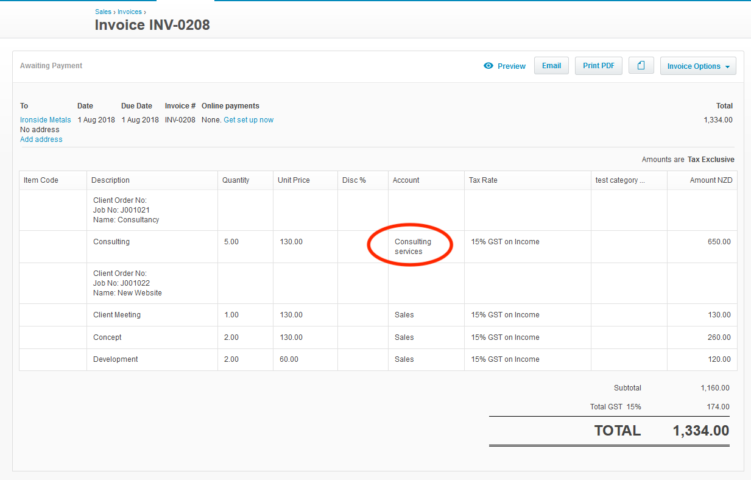 You can now link sales credit notes recorded against invoices back to projects. This means you will always see a true and accurate representation of your projects profitability. And, coming soon you will also be able to link purchase credit notes so that your costs are reflected accurately. We know your time is precious so we’ve made some improvements to invoice lists on mobile so they now display instantly, no more waiting. With the new Xero Payroll and Xero Projects integration you can now transfer time which is recorded in a project directly into Xero Payroll. This avoids duplication, increases accuracy and ensures that you and your staff only record your time once in one place. The Xero Projects and Payroll integration is available for customers using both add-ons in Australia. The United Kingdom and New Zealand will follow in the next 90 days. Currently in BETA, and releasing incrementally over the coming weeks, email to bills will reduce the time you spend on admin by extracting the key information from text PDF bills and automatically populating the; total, bill date, due date (if specified explicitly), reference and supplier fields to create a bill entry in Xero – simply forward your bills to Xero and we’ll take care of the rest. Hold tight, shortly, you’ll be able to drag multi-page PDF receipts into a claim and the extra pages will show without any trouble. Soon you’ll be able to add and edit bills on Android and iOS. Entering bills into Xero helps you get a more complete picture of upcoming costs, which makes making decisions relating to cash flow much easier. From late October, WorkflowMax will start moving those using the current WorkflowMax login credentials, to using a Xero login. This will mean that WorkflowMax can utilise all the added security features that already exist for the rest of Xero, and is the start of closer integration opportunities between the platforms. 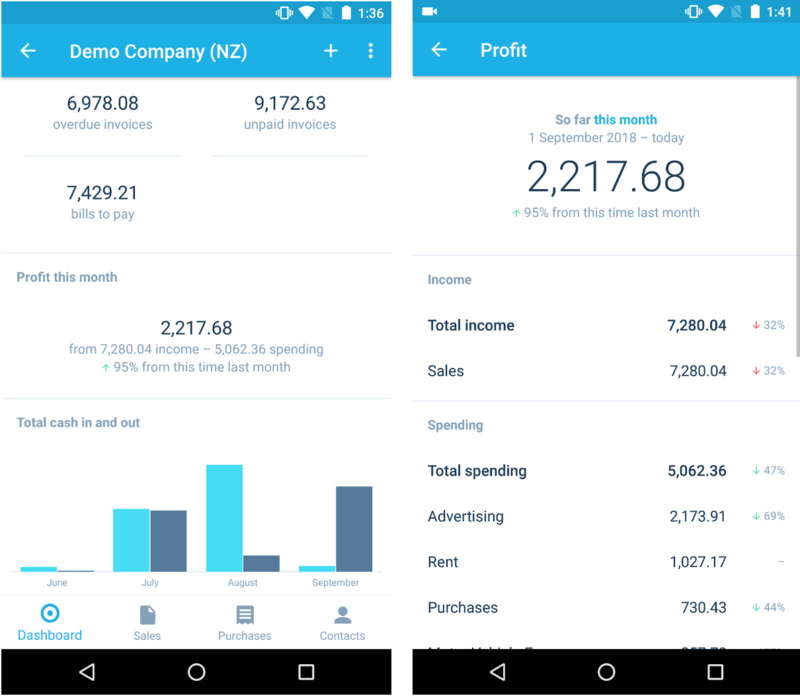 Coming soon, you’ll be able to get a quick view of your profit and loss, and how your income and spending are broken up, from your Android or iOS dashboard. So no matter where you are, you’ll always know if you’re breaking even or making a profit. 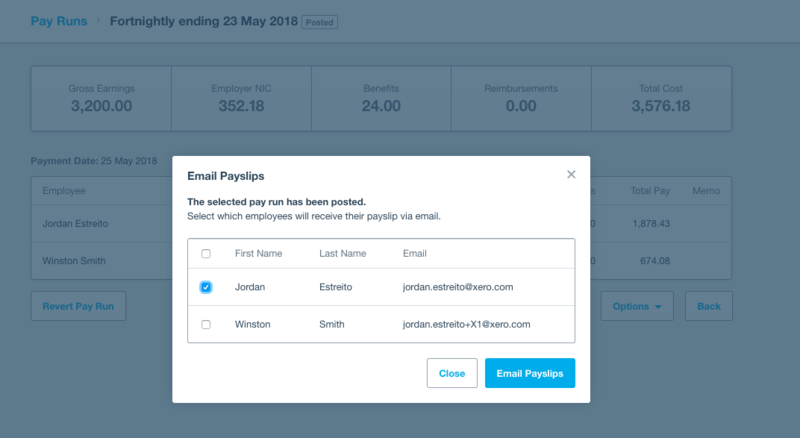 Small businesses and partners will be able to set up multiple employees at once in Xero Payroll from a spreadsheet with the new Employee Bulk Upload. To reduce errors and help you be compliant, we’re working on some improvements to the Pay and Leave settings in Payroll for New Zealand. 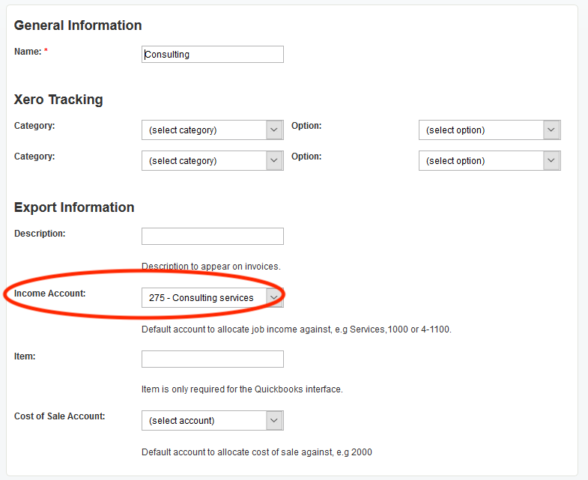 This will make set up more intuitive and explain how Xero calculates leave based on the information entered. 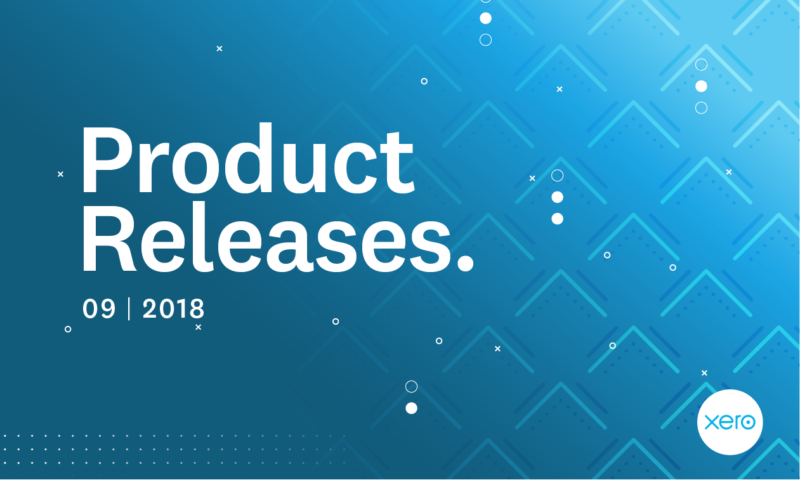 The post Xero Global Release Update August 2018 appeared first on Xero Blog. It’s National Payroll Week in the UK – an initiative organised by the Chartered Institute of Payroll Professionals (CIPP). It aims to demonstrate the importance of efficient payroll to the economy. Payroll is crucial in business management and employee satisfaction. If payroll processes are locked down and run well, businesses will flourish. Payroll management has historically been the bain of an accountant’s life. They know their clients don’t want to get employee wages wrong. By combining a smart payroll system like Xero Payroll with Xero, it’s far easier to get the job done efficiently, and quickly. Xero Me is an employee app that works with Xero Payroll. You can track time, mark holidays on a calendar and populate payslips. It’s not difficult to sell the benefits of the app to your clients – not only is the user experience seamless, but they gain the satisfaction of having all their important information in one place. It also means employees and employers benefit from more detailed reporting of their day-to-day activities. There’s no need to manually input data from other spreadsheets. By using payroll software that automatically integrates with your accounting software, you don’t have to keep track of all the changes your team make or post journals. There are a number of Xero partners saving time with Xero Payroll. Take Xero Gold Partner, David Hassel, Managing Director of DH Business Support and co-owner of XU Magazine. Xero Payroll has saved his firm twelve minutes per client per month. He’s reduced the time spent on admin tasks that detract attention away from helping the businesses he works with thrive. Let’s be honest, you didn’t start your business just so you could spend time on admin tasks and payroll problems. Every spare moment that you have in the office should be spent on driving your business offering forward. You really don’t want to get employee wages wrong. It’s the type of reputation that spreads fast and could cause problems when a business is hiring new people. It doesn’t bode well for employee satisfaction, not to mention the fact that it will cause you a headache to clear up the mess. To avoid this, ensure you stay on top of leave, timesheets and payslips. Ideally, everything needs to be in the same format and the same place. If they’re tracked in different spreadsheets and google docs, it’s easy for things to get missed. Using an app like Xero Me gives the satisfaction of having all the important information in one place. Employees submit their own timesheets, check their pay and manage leave requests – all from their smartphones. Aside from it being good for your employees, it’s good for business, too. The great thing is that it reduces the amount of administration that businesses need to do. All the information that you need is accounted for, and as such is going to be more accurate, with less chance of employees being under or overpaid. Make sure you are aware of any regional laws around minimum pay periods – if you’re in the dark about this, you might end up breaking a law that you weren’t aware of. Using an app likes Xero Me takes the hassle out of payroll by collating all the information you need and organising it in one place. Take a look here to find out more. The post Celebrating National Payroll Week – Why it counts appeared first on Xero Blog. Accountants and bookkeepers can now get ready for MTD with the UK’s first Making Tax Digital education course! 1.2 million VAT-registered businesses above the threshold must comply with Making Tax Digital by 1 April 2019. And the accounting community plays a key role in making sure clients get ready on time. In our role as a trusted partner to thousands of practices around the UK, Xero is committed to supporting accountants, bookkeepers and small businesses through this change in regulation. We’re pleased to say that the thousands of UK businesses already using Xero to submit VAT returns are MTD ready. Our product team have been working closely with HMRC to upgrade our VAT functionality for Making Tax Digital. This means Xero subscribers that are already submitting VAT returns will be automatically upgraded in time for the April deadline. And at no extra cost! But hundreds of thousands of businesses are not yet ready, and we’re committed to helping them get compliant. To support accountants and bookkeepers with the digital accounting switchover we’ve launched the first Making Tax Digital education course. Hundreds of firms around the UK have already completed the MTD-ready course. 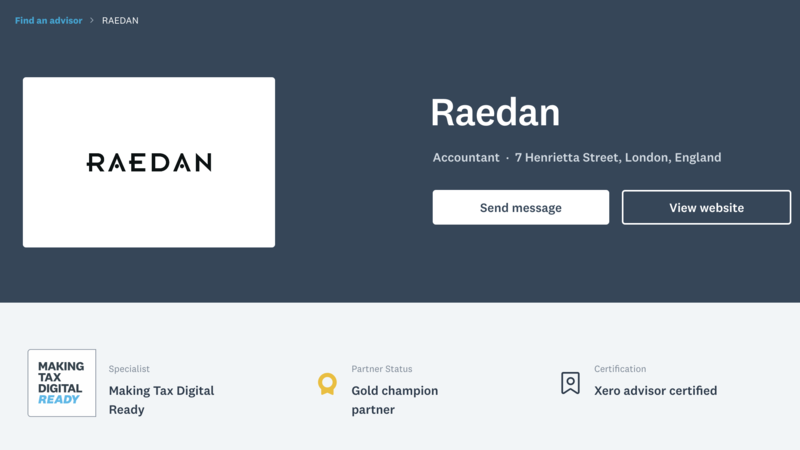 And many, including Jonathan Bareham, director and co-founder at London accounting firm Raedan, are now proudly displaying the MTD-ready badge on their Xero advisor directory listing. “We love Xero’s training courses because they provide a great source of education for all our team,” Jonathan says. What does the Making Tax Digital course include? How to review your client base to identify the right clients to migrate at the right time, and improve efficiency for your staff. What happens when I’ve completed the course? You’ll earn the new MTD-ready badge for your firm’s Xero advisor directory listing once you’ve completed the course. Plus we’ll send you a beautiful digital badge to proudly display on your website, social media and email signature. This is a great way to show clients that you’re ready for Making Tax Digital and that you can get them ready too! We’re also running joint webinars with HMRC. You can register for the next Xero & HMRC webinar on 5 September at 10 am. How can I get ready for Making Tax Digital? The post Get your practice ready for Making Tax Digital with Xero education appeared first on Xero Blog. 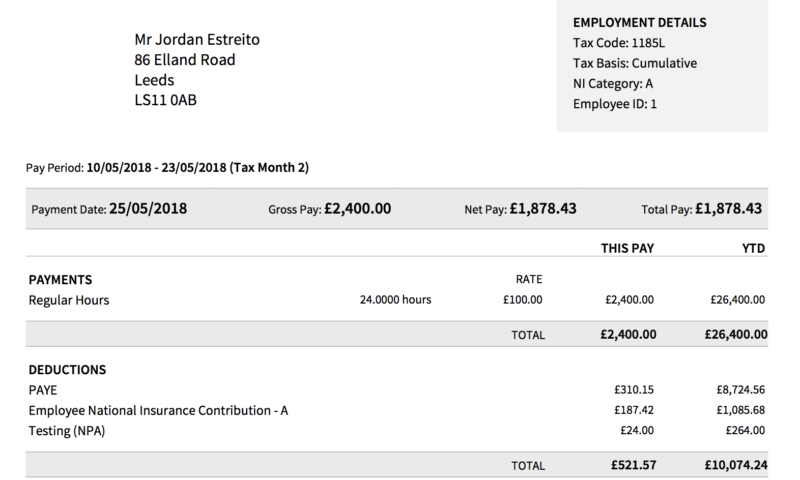 As an extra measure to keep you and your employees information nice and safe, UK Payroll administrators will now have password protect payslips when sending them through email. This is now automatically enabled on all Payroll orgs. 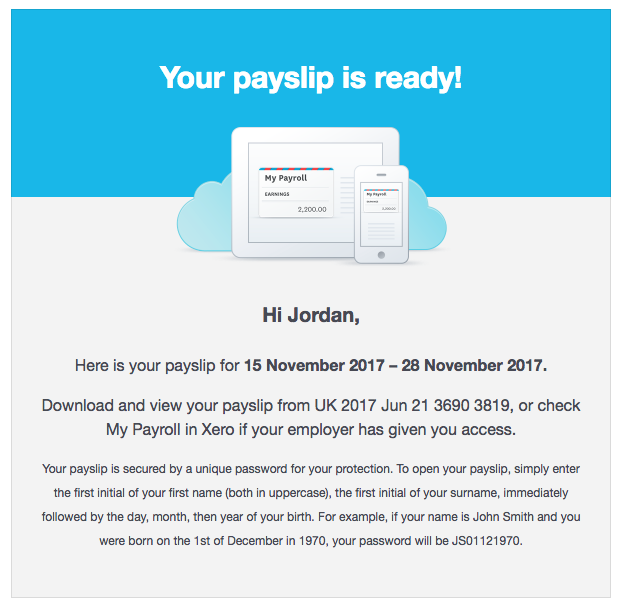 The next time you process a pay run in Xero you can choose which employees will receive an encrypted payslip via email. The email that you send will now include instructions on how to unlock their payslip. Please note that the password is case sensitive as employees will not be able to open their payslip unless the password and case are correct. Payroll in Xero offers many other ways to deliver payslips to your employees. Employees can log in to view their payslips on the Xero Me mobile app or our MyPayroll web portal. Now that we encrypt any payslips you send through email, no matter how you choose to send out payslips you can rest assured they will be password protected. The post Payroll in Xero launches encryption for UK payslip PDFs appeared first on Xero Blog. In an exciting move for accountants, bookkeepers and their clients, Hubdoc has officially joined the Xero family! Hubdoc automates the collection of clients’ key financial documents, and seamlessly syncs documents and their data to Xero. Hubdoc is currently available to Xero Partners and their clients in the United States, Canada, United Kingdom and Australia. Check out this this blog to learn more. With the new staff time overview and detailed time report in Xero you now have much more visibility over where your project time is going. Use the staff time overview to understand time recorded at a glance, or go into much more granular detail by running the detailed time report. Take a look at this blog to learn more. We’re very excited to announce the global launch of the all new Xero Expenses. Xero Expenses is integrated with Xero accounting and has all the tools and insights small businesses, employees and accounting advisors need to easily and efficiently manage expense claims together, within Xero. Submit with a photo: submit expenses on the move with your iOS or Android device. Snap picture of the receipt and Xero Expenses will automatically convert the amount, purchase date, supplier and account fields into text. Manage everything in Xero: with just one login for Xero and Xero Expenses you can be sure you’re not double-handling information. Real-time tracking helps you and your team manage expenses from anywhere. Eliminate hidden costs: reduce data entry and streamline the entire expenses process from submitting, through to reconciling transactions in Xero. Stay in control: set access levels for staff and choose who can view, submit, approve or pay expenses claims. To celebrate the launch, most businesses subscribed to Xero before 10 July 2018 can experience it absolutely free until 28 September 2018. See your local Xero Expenses web page for full details on this offer and your local pricing. Learn more on our blog. Businesses in Australia can now accept direct debit payments through GoCardless for Xero, to get your ad-hoc and recurring payments flowing without having to go to great lengths, and transactions automatically marked paid in Xero. Encourage your customers to set up automatic payments by direct debit through GoCardless for recurring invoices and see your payments on time; keeping your cash flow in good shape. Learn more about Xero + GoCardless on our blog. It’s now easier to manage what online payments you have added to your online invoices from the invoicing screen. Manage your active payment options like Stripe or Paypal for individual invoices, and add or remove a payment option from a specific invoice. If you don’t have any set up yet, you’ll be able to create and attach new Stripe and PayPal accounts to help get paid faster and more reliably. More than a quarter of the bills entered into Xero are manually marked as paid, so we wanted to make this easy on mobile too. Now on Android and iOS, you can add either a partial or full payment to a bill. Select “Bill to pay”, then tap the “$” button or select “Add Payment”. Fill in the details and add a payment reference if you wish. When you’re ready, the “tick” action saves this payment against the bill. If it’s a full payment, the bill moves to a “paid status and will show in the “Recent Spending” list. With Single Touch Payroll (STP) in Xero, you’ll be able to comply with the new requirements in just a few simple clicks. With the introduction of STP, the only way to submit payroll information to the Australian Tax Office (ATO) will be digitally, via software providers like Xero. This is now a compliance requirement for employers with 20 or more employees, and it is expected be mandatory for all Australian businesses by July 1 2019. To make the transition as smooth as possible for you, we’ve chosen to do a staged roll out, and the ATO has granted Xero subscribers a grace period deferral until as late as 31st December 2018, which will make sure Xero businesses stay compliant throughout the staged roll out. Learn more on our blog. Employment ends for many different reasons. We made it easier for employers to pay employees their entitlements and report these to the Australian Tax Office (ATO) when terminations happen. Employee termination payments (ETP’s) are complex payroll calculations and Xero makes it easier to set up ETP pay items and calculate tax on these automatically when included in a Final Pay. Employers will also now be able to issue Payment summaries for ETP’s and report these to the ATO with our EOFY Payment summary process. We know how important it is to keep your business and employee information protected online so, in line with the new ATO requirements, we’ll be making 2SA compulsory for all Xero Payroll admins and subscribers in Australia by 11 September 2018. From 14 August Payroll admins and subscribers will see a new page when they visit their Xero account, which walks through the setup of 2SA so they can opt in before the due date. Learn more. Our new Real Time Information (RTI )page should make filing a breeze. We’ve made it easier to find and track the status of your payroll submissions to HMRC. Enhancements include an improved layout, more robust search and filtering, and better options to download the submission files. From August we will be rolling out the ability for Xero businesses to set up an Alternative Email address that can be used to sign into your Xero account when you already have Two-Step Authentication (2SA) enabled but don’t have access to your authenticator app. Hold tight, we’re working hard to deliver multi-page support for a variety of scenarios and PDF receipts are the first on our list. Shortly, you’ll be able to drag multi-page PDF receipts into a claim and the extra pages will show without any trouble. Service businesses, including trade and construction, who may have to issue refunds or credits for work invoiced will be able to ensure their project financials are correct by linking their credit notes to projects in Xero. Xero Practice Manager payment types from your Xero practice org. There are two exciting features being released in August for partners using Xero Practice Manager (XPM). Firstly, we are allowing more payment types to flow through from your Xero practice organisation to the invoices in XPM. Previously only the the “paid” status to passed through. Hearing feedback from our partners we know a number take both prepayments and overpayments. We think this back office update will save time and frustration when it comes to billing your clients. The second update is the ability to map your invoice tasks to a specific revenue account within your practice org, and adding tracking categories based on your job category. With this new release, your invoice tasks and costs will map to your specified Xero revenue accounts and tracking categories, based on the job category of the job you’re invoicing. For more detail check out the blog post here. Shortly you’ll be able to get a quick view of your profit and loss from your Android or iOS dashboard. So no matter where you are, you’ll always know if you’re breaking even or making a profit. Hold tight, this release is rolling out to users over the next few weeks so should be available very soon. Lots of businesses need to include supporting documentation such as before/after photos or expense receipts with invoices, and often these files are stored on your mobile. Soon, you’ll be able to attach files to your invoice emails to send from your iOS or Android mobile device. We are currently making performance improvements to invoice lists on mobile so they display instantly, no more waiting. Great news, just like a bank statement, soon you’ll be able to view a running balance on the account transactions report so you can keep tabs on the movements of your accounts and easily view the impact of your totals without any further manipulation. As an extra measure to keep you and your employees’ information nice and safe, UK Payroll administrators will soon be able to password protect payslips when sending them through email. Employees already have to log in to view their payslips on the Xero Me mobile app and our MyPayroll web portal. So now, after you process a pay run and want to send your employees their payslips, there will be an extra level of security for them – ensuring their privacy. Our more intuitive pensions tab reduces the time and errors when setting up a workplace pension in Xero. We know how complicated it can be to manage pensions and so we’ve streamlined the amount of information that you need to enter. 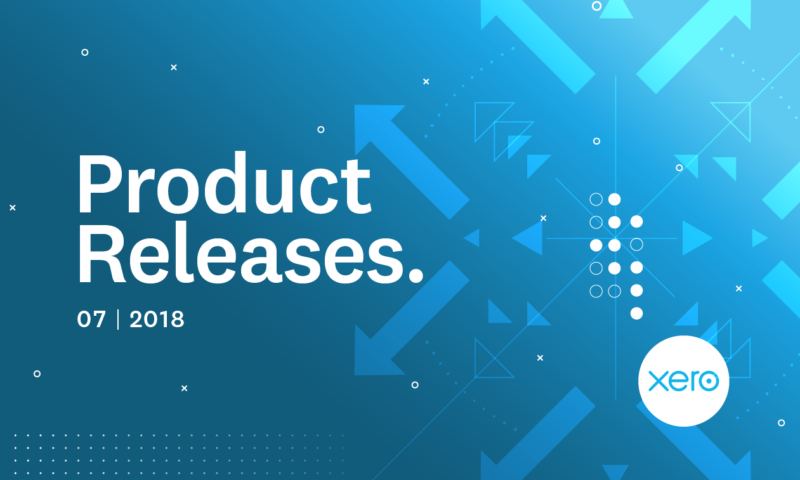 The post Xero Global Release Update July 2018 appeared first on Xero Blog. Thanks for all your feedback on our roadmap. As part of our ongoing product enhancements, we’re excited to announce our first round of new invoicing features is going live in the next few weeks. So what’s new and what’s changed? When your invoices are exported into Xero, they will sit there until you apply a payment in Xero, which then imports the payment back against your invoice in Xero Practice Manager. However, until now, if you applied a “Prepayment” or “Overpayment” in Xero against the invoice, this type of payment wouldn’t flow back against your Xero Practice Manager invoice. This meant that you’d either have to manually apply the payment twice (once in Xero, then again in Xero Practice Manager) or if you didn’t notice, you’d likely have a bunch of “unpaid” invoices with parts of the balances outstanding in Xero Practice Manager. The release we’re making in the middle of August will allow the prepayments and overpayments you’ve applied to your Xero invoice to automatically import against your Xero Practice Manager invoice along with payments and credit notes which have previously imported. When the Xero payments are imported into Xero Practice Manager, the payments will show as one line. The total now includes all types of payments, including in this example another payment I’ve added to this invoice since the initial overpayment. If you drill down on the payments tab, then you will see each payment listed. It is now possible when creating bulk invoices (multi job) to map your tasks and costs to specific Xero revenue accounts and tracking categories, by job category. Previously you could do this for individual invoices you created for each job, it was never intended to be used with bulk invoice (multi-job invoices). With this new release, your invoice tasks and costs will map to your specified Xero revenue accounts and tracking categories, based on the job category of the job you’re invoicing. Create a Job category from – Business -> settings -> Job Settings menu, and Job Category tab. Edit the job category and select an Income account to map all invoice tasks and costs for jobs of this type. 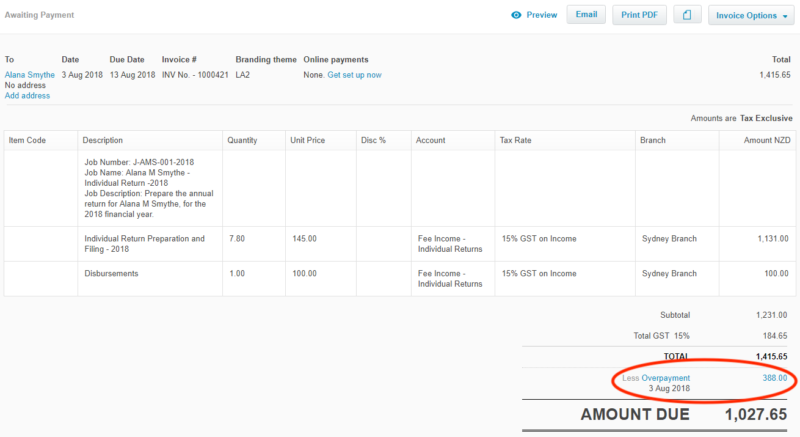 You can also select a Xero tracking category here to be applied to all invoice lines for jobs with this job category. 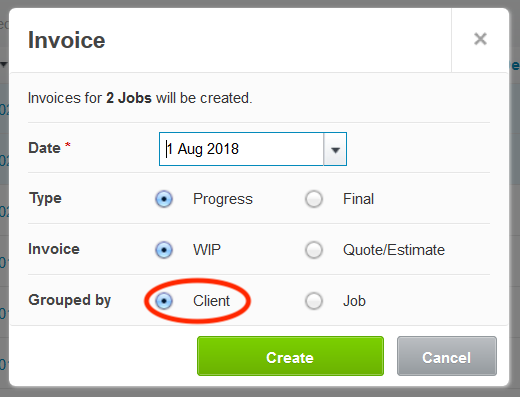 And then select “grouped by client” to create a multi-job or bulk invoice by client, where you might have more than one job per client. This multi-job invoice shows a summary of two jobs. You can click to expand the jobs and view the tasks and costs per job. All invoice lines created on jobs where a job category has been applied, will now be mapped to the Xero account and/or Xero tracking categories you have selected under the Job Category settings. 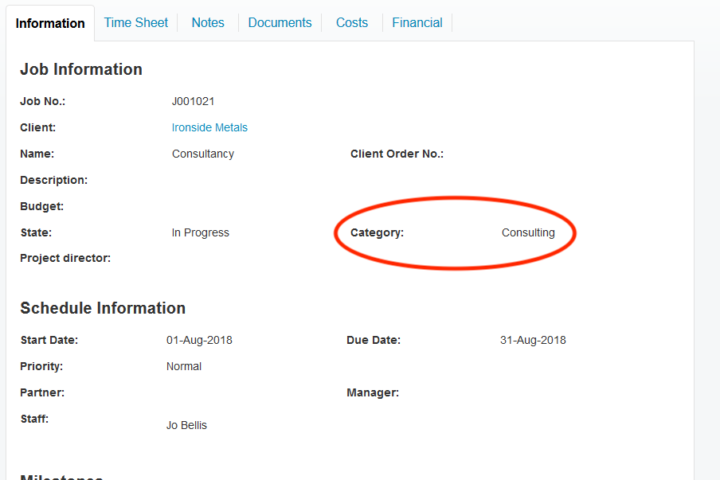 Invoice in Xero – J001021 mapped to “consulting services” as per job category set up. J001022 mapped to the default “sales” account, as this job has no job category applied. Visit Xero Central for more information on how Xero Practice Manager connects with your Xero Practice Organisation. For practices that have clients using WorkflowMax – these changes are going to help them too. You can find the WorkflowMax blog post here, feel free to share this with your clients. These updates will go live mid-August, so keep an eye out for the in-app notification. We’ve also got a few more enhancements coming to invoicing soon that we think you’ll like, so stay tuned! 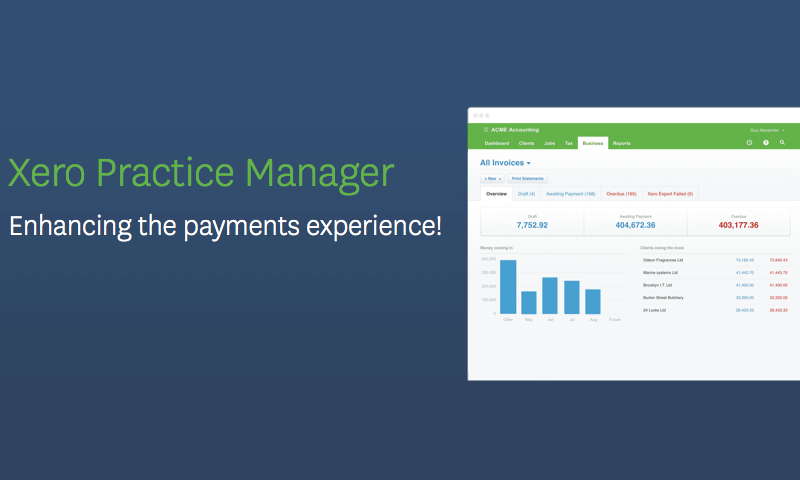 The post Xero Practice Manager – enhancing the payments experience appeared first on Xero Blog.